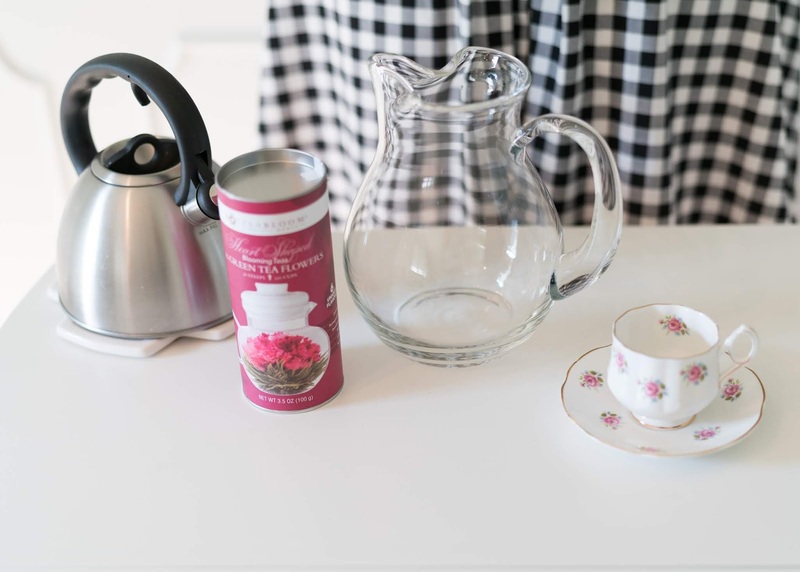 Want to impress your friends on your next girl's night in? I've got just the idea for you! 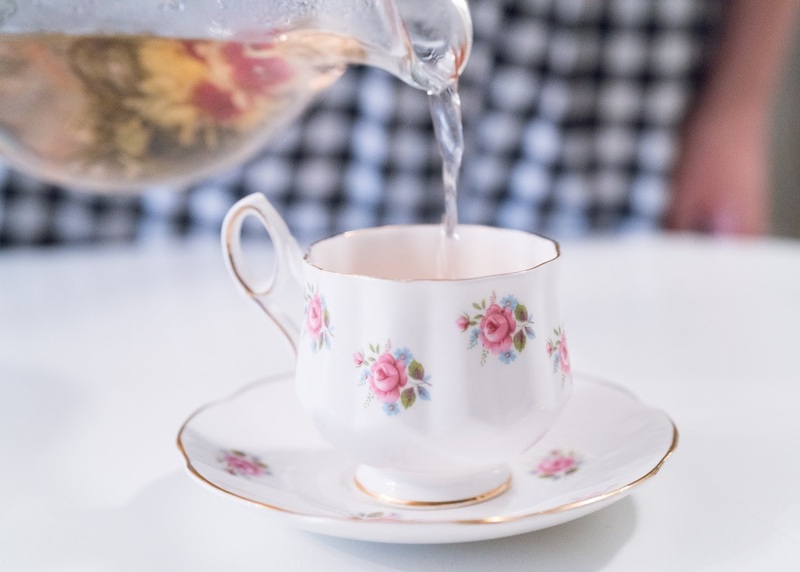 Invite a few of your closest friends over one night for tea, make these lemon bars to serve with it, and be sure to watch Princess Diaries or the Crown for the ultimate girl's night success! 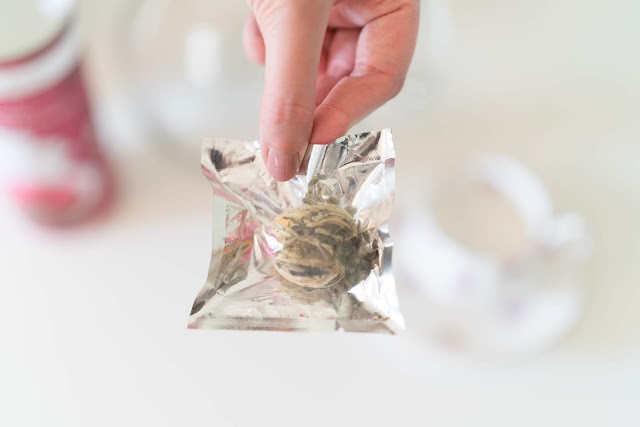 Sure, you could serve regular old tea, but have you ever heard of blooming tea? 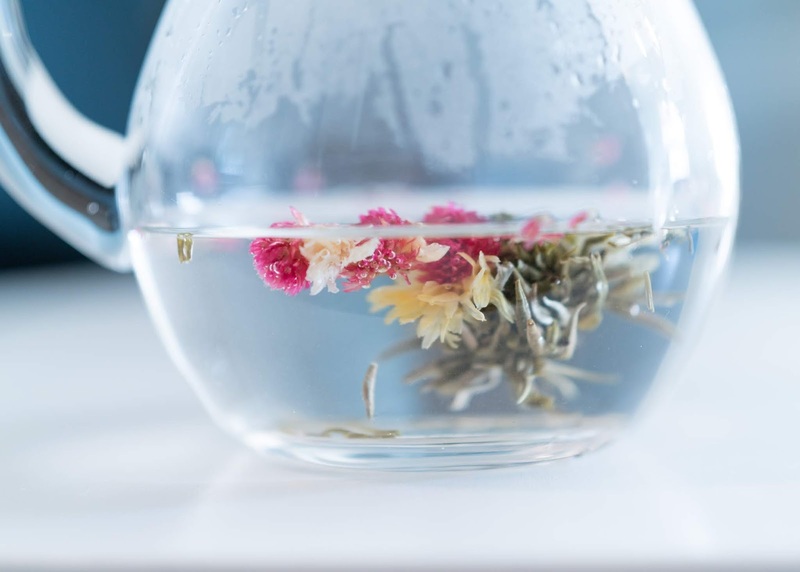 It's basically a beautiful and elegant tea experience that tastes just as good as it looks! 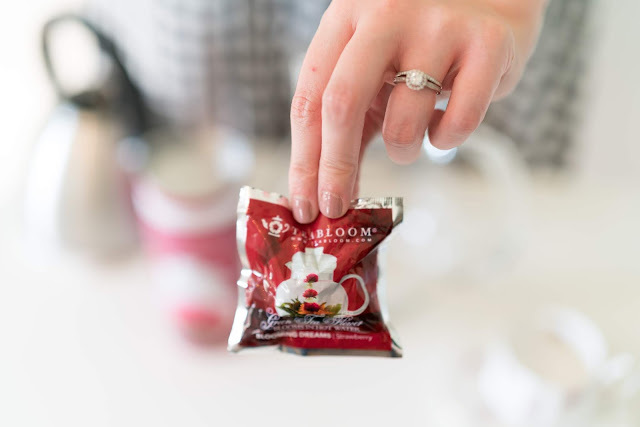 I tested out Teabloom's heart shaped tea today, and it really is a fun experience. 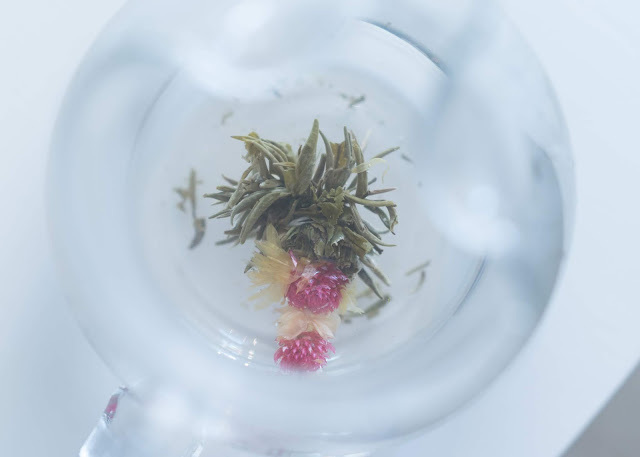 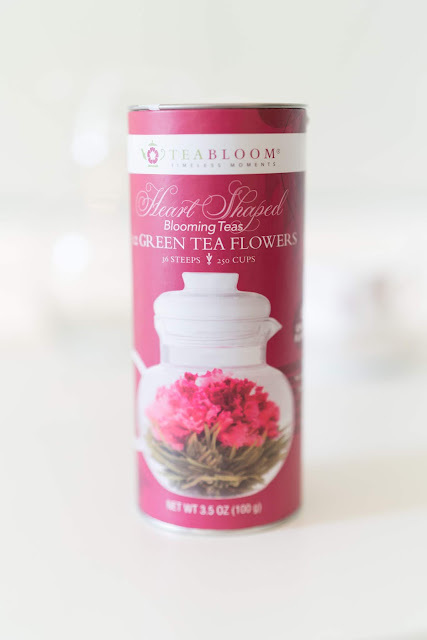 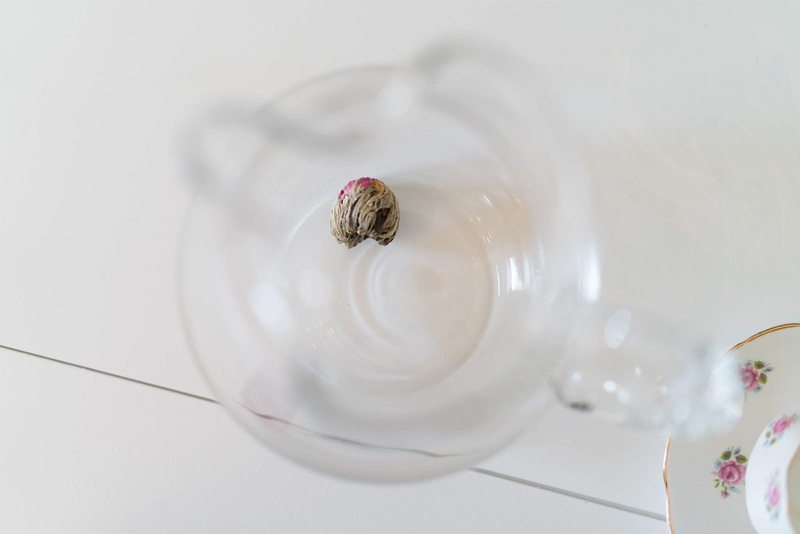 It's as simple as brewing regular green tea, but the little tea round you get from the package blooms into a gorgeous flower. 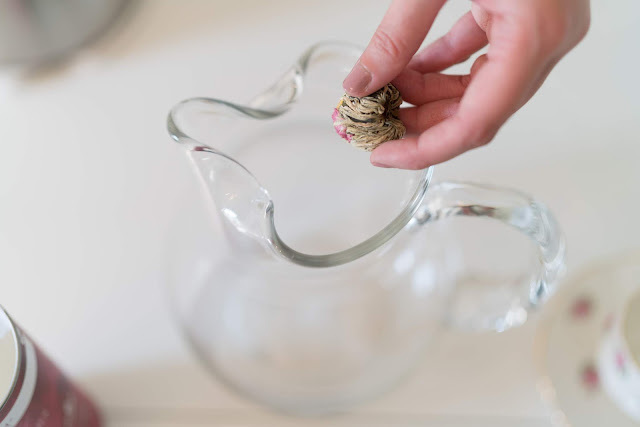 You'll want to use a glass teapot or pitcher when you make this. 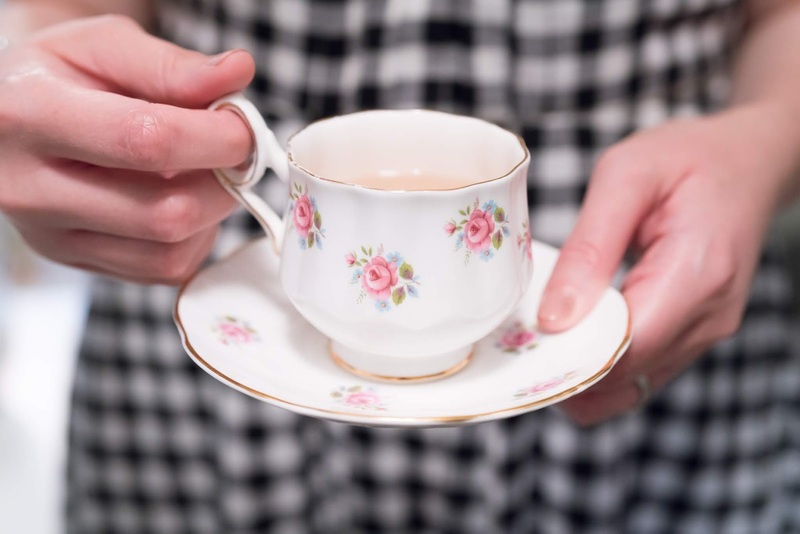 I used one of my great grandma's tea cups that I am obsessed with, and it was so fun to do all of this on an old antique tea cart that my grandma gave me! 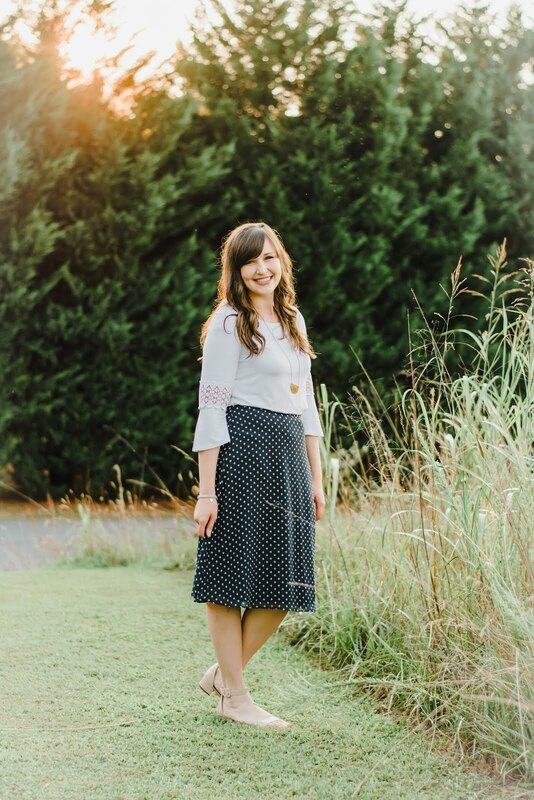 Be sure to check out Teabloom, and I hope today's post gave you a fresh new idea for girl's night!